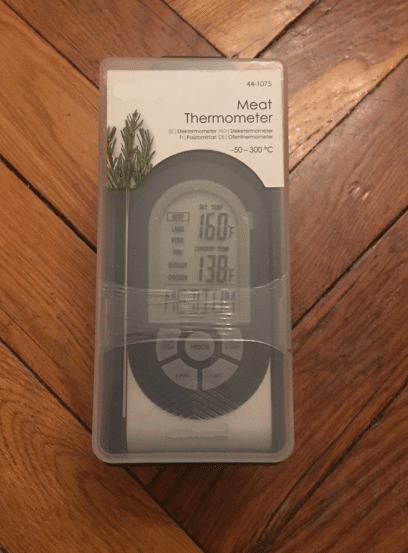 So, I bought this great meat thermometer ThermoPro TP20 by ThermoPro. 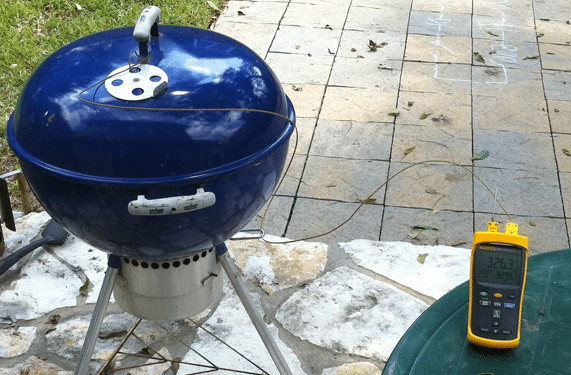 I love cooking with barbeques and smokers and a good, wireless, meat thermometer is really handy. 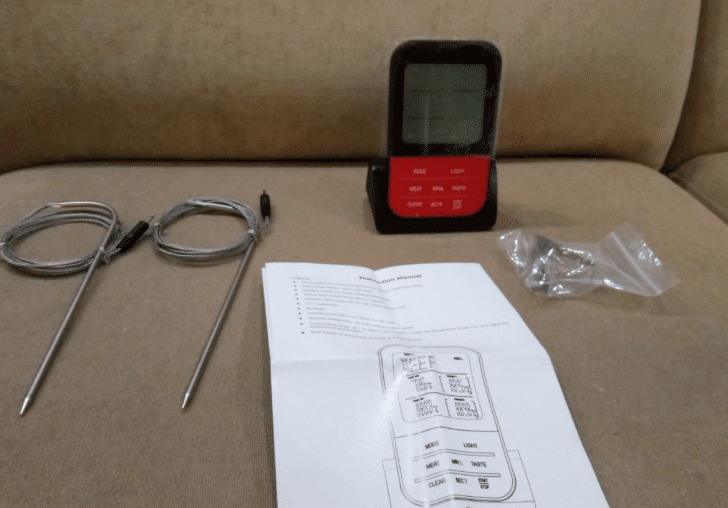 As a cook, I get pretty critical about my devices, so here’s a ThermoPro TP20 Review for you people to share about my experience with this product. Things that I’m specifically looking for in my thermometers are pretty basic. The wireless range needs to be good. The receiver should be readable in all types of lights. The built should be tolerant. Design can be minimal but should be hassle-free. Any additional features apart from this are always welcome, but these points are very necessary. 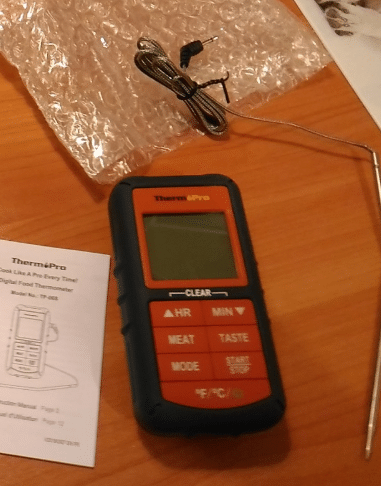 The two things that absolutely blew my mind in ThermoPro TP20 Remote Thermometer were the timer function feature and the pre-programmed templates. But will tell about that in a while. In addition to that, the communication mode of the two units of this ThermoPro meat thermometer is also admirable. As soon as the device is turned-on, the units are ready to interface, easy and simple. The rubber covering for splash proofing both these units in this ThermoPro wireless thermometer was also a good idea. It doesn’t make the transmitter completely water-proof but it does gets an edge over accidental splashes while cooking. Besides that, the receiver also has a pull out counter top stand along with a belt clip. This makes it easy to keep it with you while you are busy with other tasks around the house. 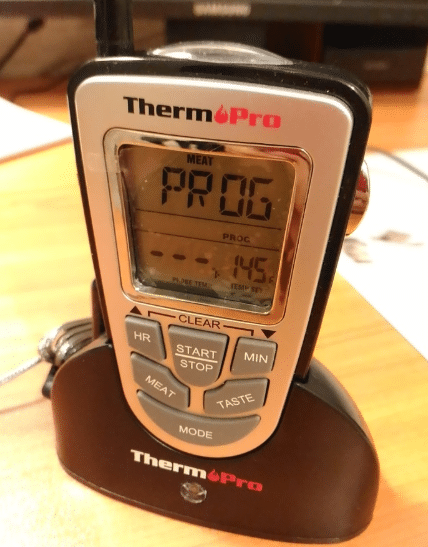 The temperature display on this ThermoPro digital thermometer’s sending unit goes to and fro between its probe 1 and probe 2. Both of these probes are attached to the transmitter. This means that you can use the thermometer for cooking two different things at once. I personally prefer placing one of these into the meat I am cooking and the other one in the pit so that it acts as an ambient temperature probe. You can see temperatures in either ºC or ºF. Being a timer thermometer, it allows the user to select alarm temperatures for both the probes. You can use the USDA recommendation chart, though I prefer the setting of my own. One thing that bugs me is that it cannot be used efficiently as a cooker monitor as it only has an upper limit. The two probes in the device are identical enabling you to use either one measuring food temps. Talking about the outdoor bbq use, I felt 40″ (1m) to be on the short side for a cable length. Though the cable’s temperature resistance up to 716˚F is remarkable. The cooker status can be measured with the grill grate clip that helps in mounting a probe. The probes have a “Step-Down” tip. In this, the end of the probe gets a bit thinner. This is a very smart design because of the ease it provides. You need to insert the probe in the thickest part and with the thin tip it is very easy. Coming back to the timer part, the timer has two modes – count up and count down. The upper limit for the timer is almost 100 hours. What I liked most about the timer feature was that the up/down timer simultaneously runs with the temperature alarms. For instance if there’s a communication problem between the two units, the time out is up to 4 minutes or if there’s no signal from the transmitter the time out is 30 minutes. In both the cases receiver sounds an alarm. In addition to that the usual timer and temperature notification alarm is there as expected. There’s nothing from the manufacturer about the range. But it seems to be up to 300 feet which is far better than Bluetooth ones. There’s no use of being wireless if all you can do is see your food getting cooked, from a distance. The Wifi thermometers have larger range but they are pretty expensive too. This one uses RF technology with some proprietary functioning. All I care about is that, I can leave the transmitter with the grill or smoker or anything else I am cooking with and roam around with the receiver. This is a boon and comes really handy for slow cooking especially on smokers. The beep and the backlight work accurately with the alarm threshold, good work there. But what it lacks is that there’s no button for lighting the backlight. Another mind-blowing feature that this device has are the built in templates. The thermometer is preprogramed with various types of meat cooking options and tastes. You can scroll through the various options and select your desired settings. I’ve tested the settings for beef which has the tastes – rare, medium, well done etc. And what’s even better is that all the settings that you punch in are going to stay saved even when you switch off the device. Coming to the readability part, the receiver comes with an LCD display. It is large and therefore, easily readable. The screen has a backlight feature which is pretty effective for getting the readings in low light. Built and design are necessary aspects for a cooking thermometer. You are dealing with high temperature and no one wants their thermometer to break in the middle of the barbeque. For ThermoPro TP20, the built is sturdy for the main unit making it easy to handle. It is hard to achieve such durable built with just plastic and rubber. I can vouch for the long survival of the bbq thermometer with all bumps and bashes. As usual, the probes are quite good. Also the wires are thick so the temperature tolerance is pretty high and neither the probes nor the wire will break during the usage. The reading stability of the probes is also good which again speaks more about their built. One thing I am very particular about, especially for device like these, is their design. Give one less feature and I won’t bat an eye. But if I need to keep the receiver in one hand and the user manual in other, then “No thanks”. But that said, ThermoPro TP20 has an appreciable design, even quite standard if I might add. 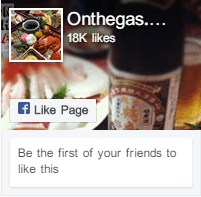 As mentioned before the user interface is simple and anyone can use it after some practice. The backlight on the receiver screen gives a brownie point that makes it better than a lot of competitors in the market. The buttons are big and readable providing a way better ease of use. The intelligent design of the probes has to be another huge plus point, especially with the step down tip. If it were up to me, I would have made it a rule for all other thermometers as well. There is a user manual that will help you with the all usage directions if you have any doubts. As for the warning, there is the usual “keep the probes dry” and “keep away from flames” points that you need to take care of. There is a one year warranty period which means you can get the product replaced for free in case of any issues. As I previously said, the rubber cladding works affectively for splash proofing but the device is not water-proof so, DO NOT leave the transmitter out in the rain. As I mentioned earlier, I do not like to compromise with my cooking apparatuses. Heat is a one of the fundamental elements of cooking and therefore, it is necessary that your meat is at right temperature at the right time. With the advances in the cooking technologies, the thermometers are also getting better in terms of their ease of use. That said, it is totally up to you as a cook to select the best technology as per your convenience. For a multitasker like me, ThermoPro TP20 is really a gift. It has the sufficient range. 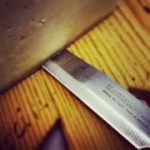 I’ve tested it with poultry and beef but I’m sure it would be great with Pork and other kinds of meats as well. The intelligent pre-programmed options for different kinds of cooking are a boon and the readability is great. There are little design faults here and there but over I liked this product very much. It is adequately built for home use. All in all I’d give 4 out of 5 stars for it. This is all about my ThermoPro TP20 Review. Stay connected for more information. We will be back soon.